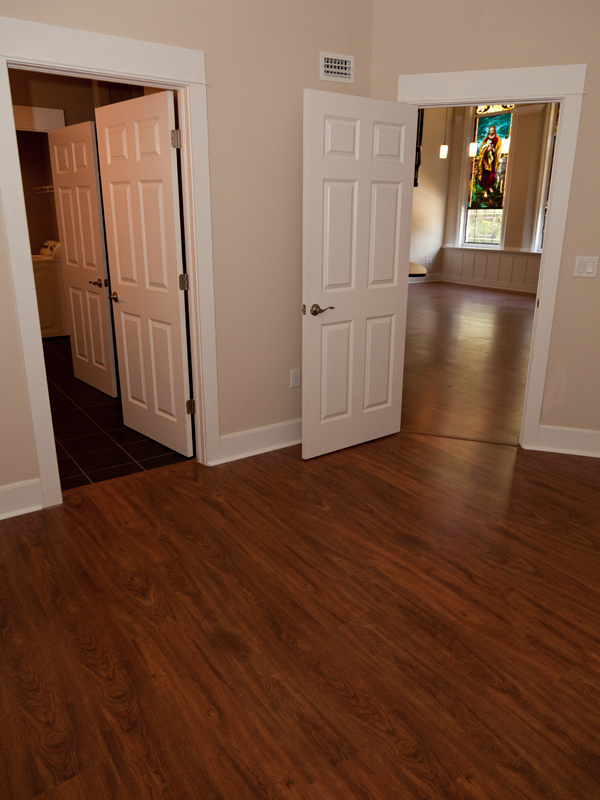 Open your mind to an open home. 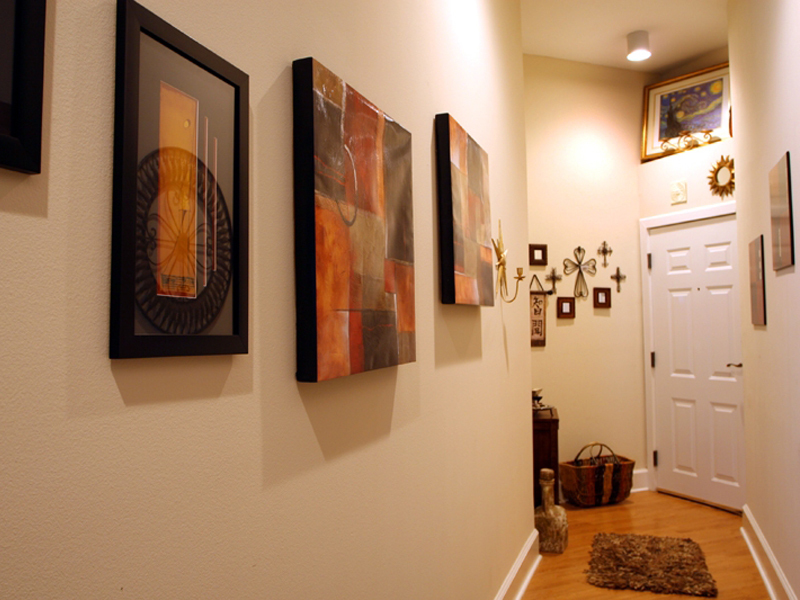 Don't let the idea of a one-room home limit you. 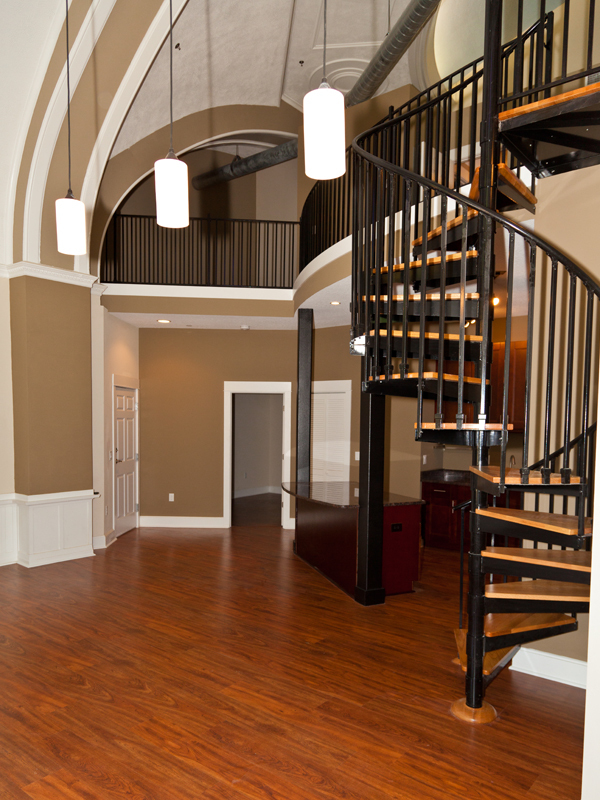 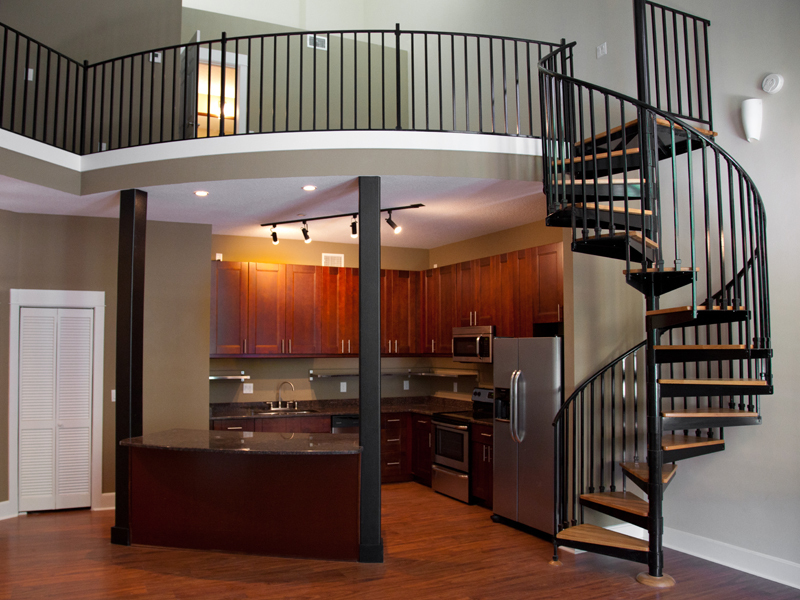 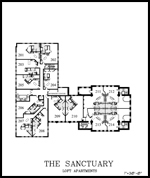 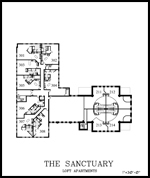 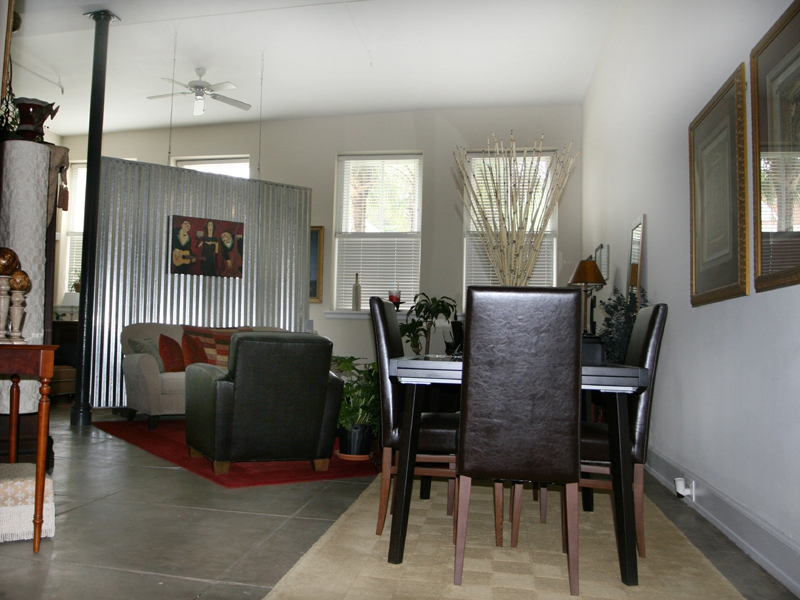 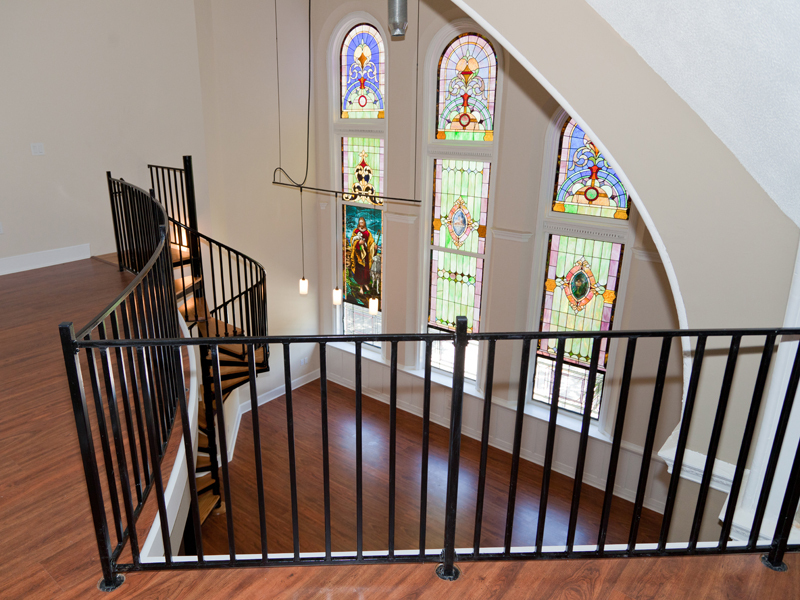 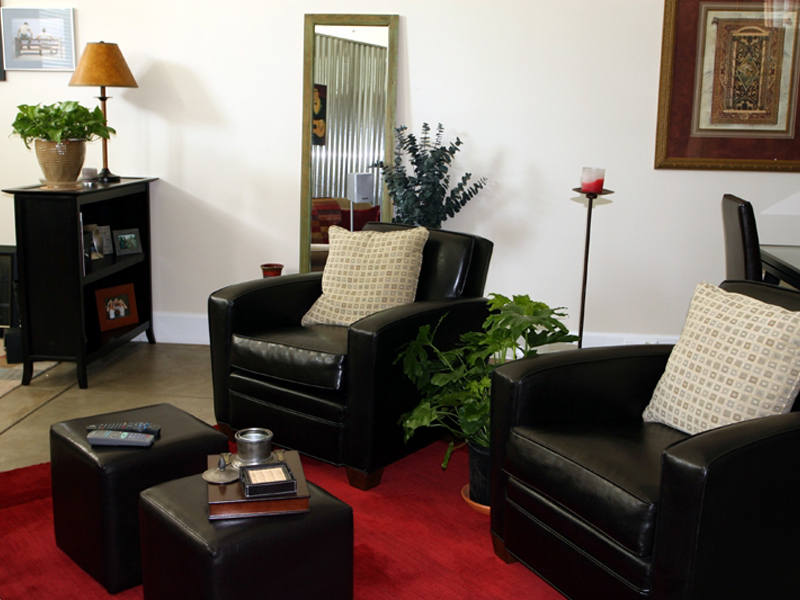 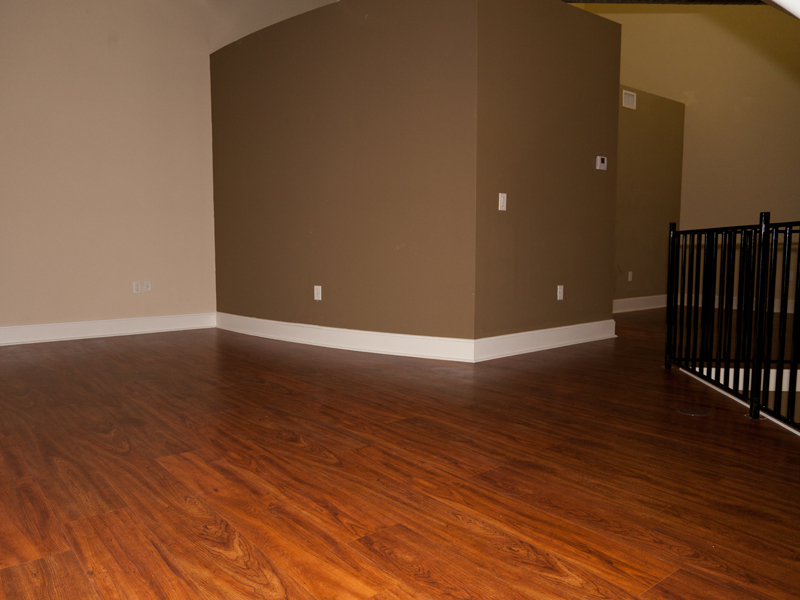 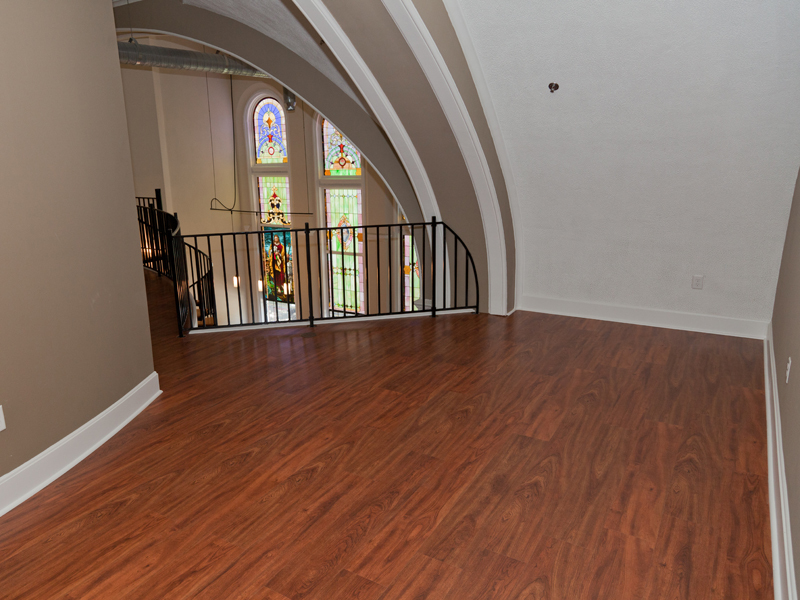 The Sanctuary Lofts offer endless possibilities for the creation of a unique living space. 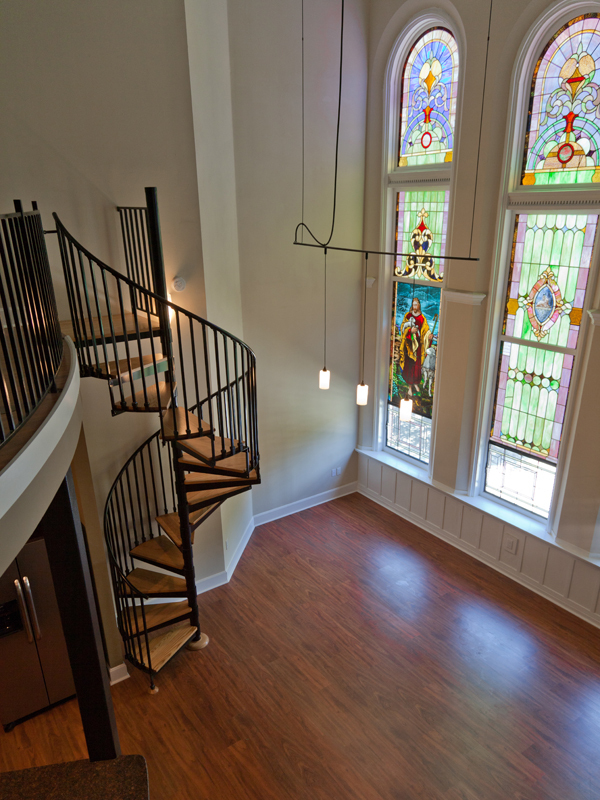 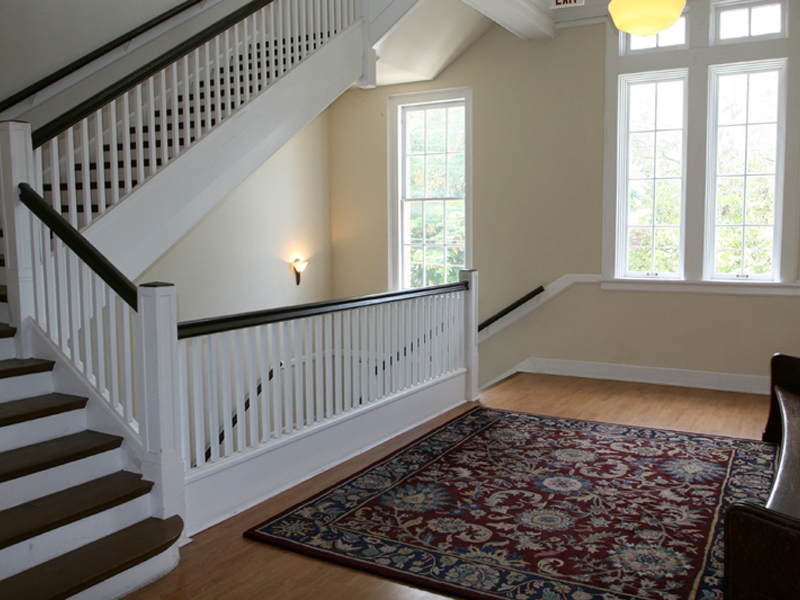 The architecture, hard wood floors, nine foot tall windows, detailed moldings and lofted ceilings offer a palate that is only limited by your imagination. 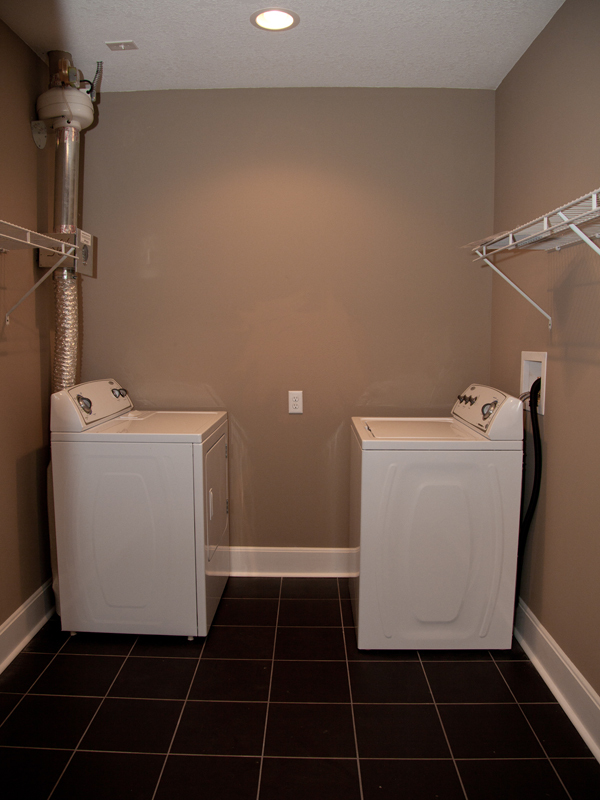 Everything can be arranged to fit your personal preferences (except the location of the kitchen sink)! 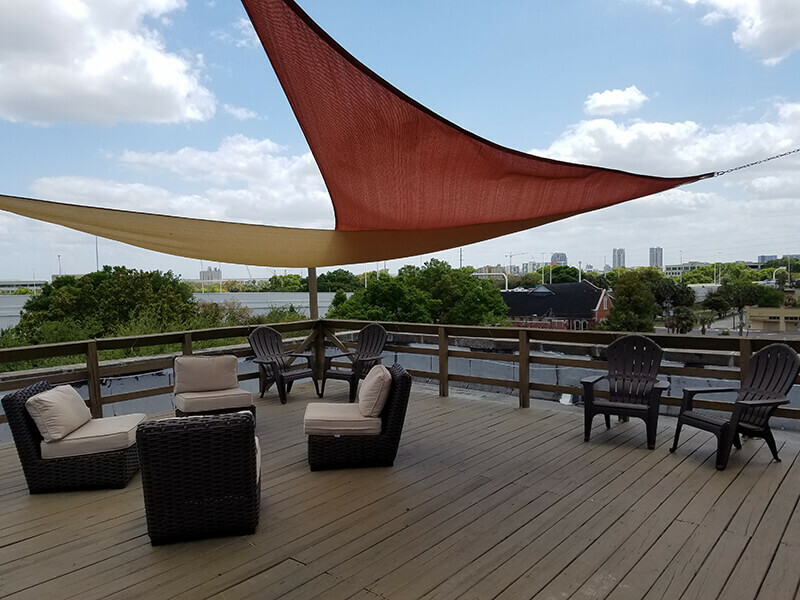 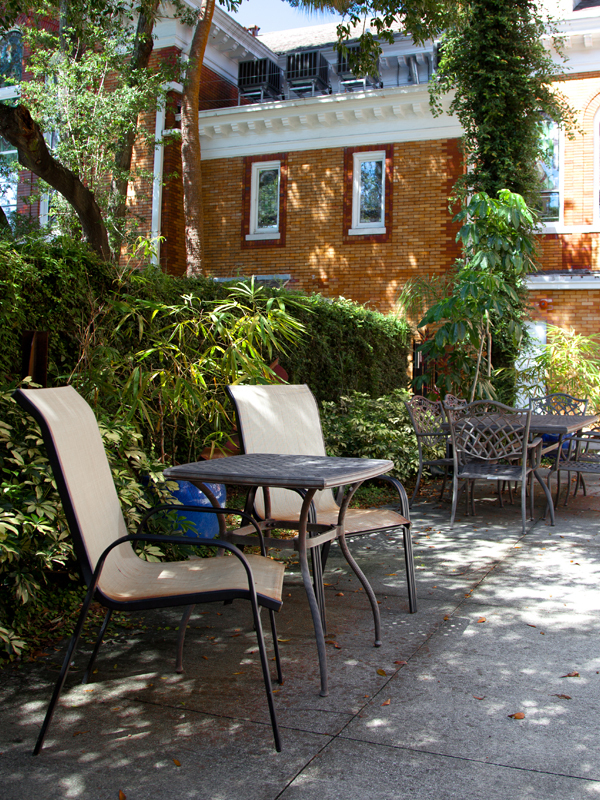 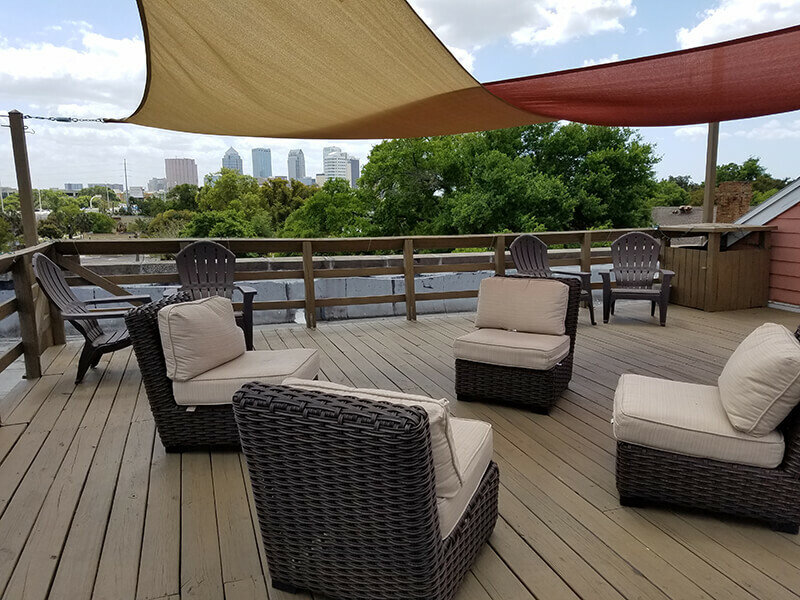 If you get tired of being indoors, you can enjoy views of Downtown and Tampa Heights from the rooftop patio - or you can socialize in the courtyard. 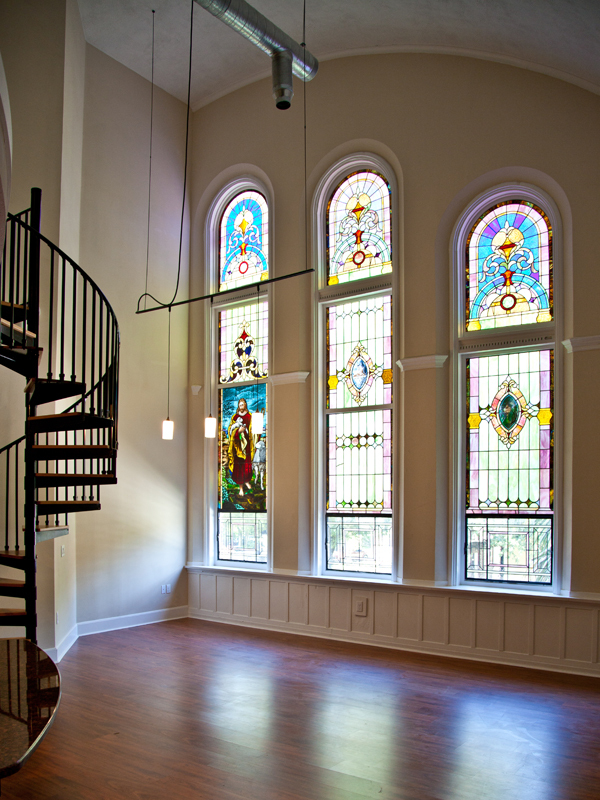 Whenever you need a bit of inspiration, just wander into the main Sanctuary and get inspired by the local artists who display their work here. 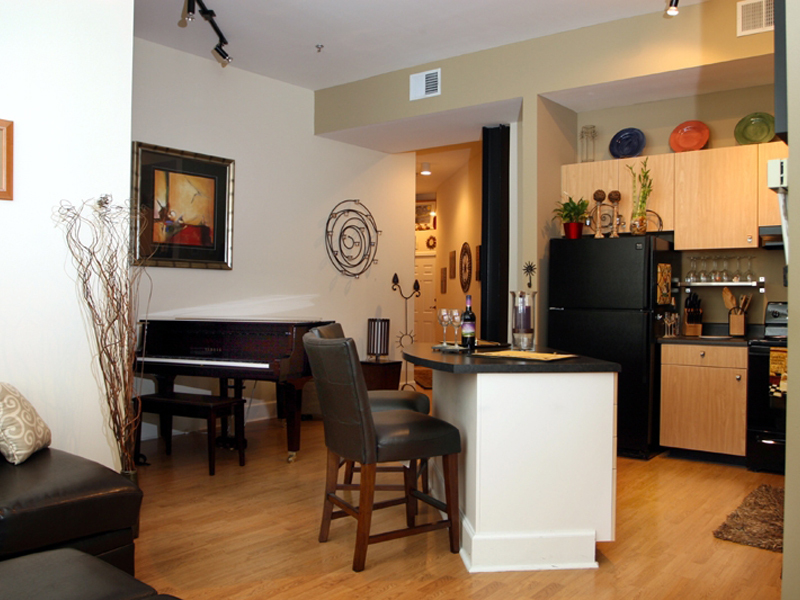 Rental rates vary from unit to unit, but on average the monthly rental rate is $1.25 to $1.50 per square foot of the floor plan. 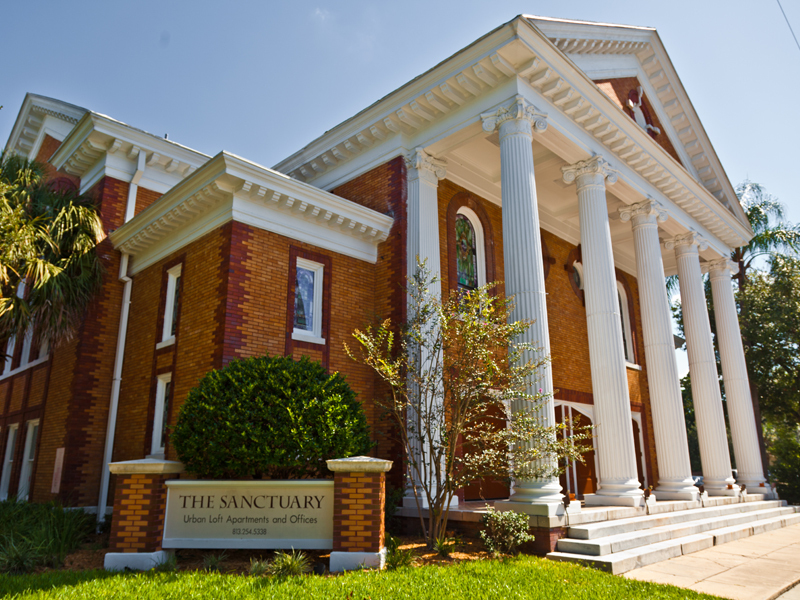 For upcoming availability on Sanctuary units, click here or contact us during regular business hours. The Sanctuary Lofts are appointed with every modern convenience to ensure a comfortable urban lifestyle. 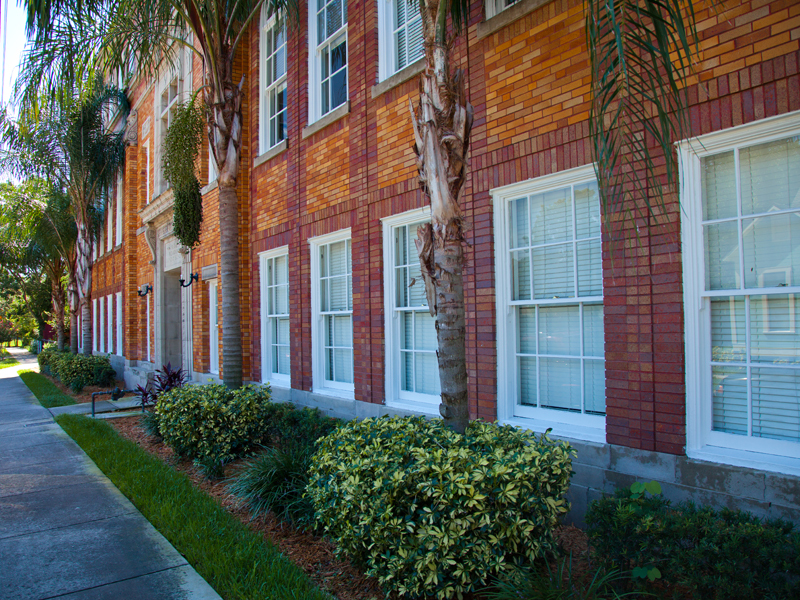 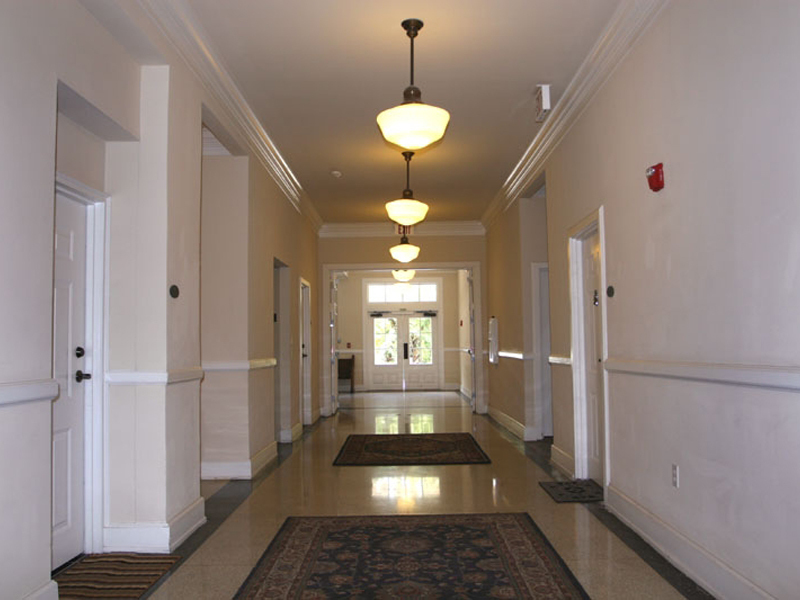 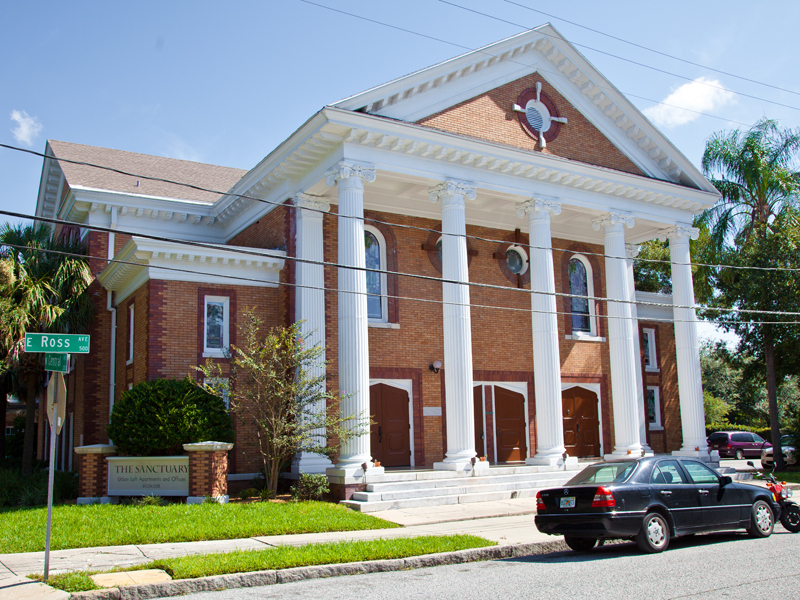 The building is secured and equipped with coded entry and gated parking is available. 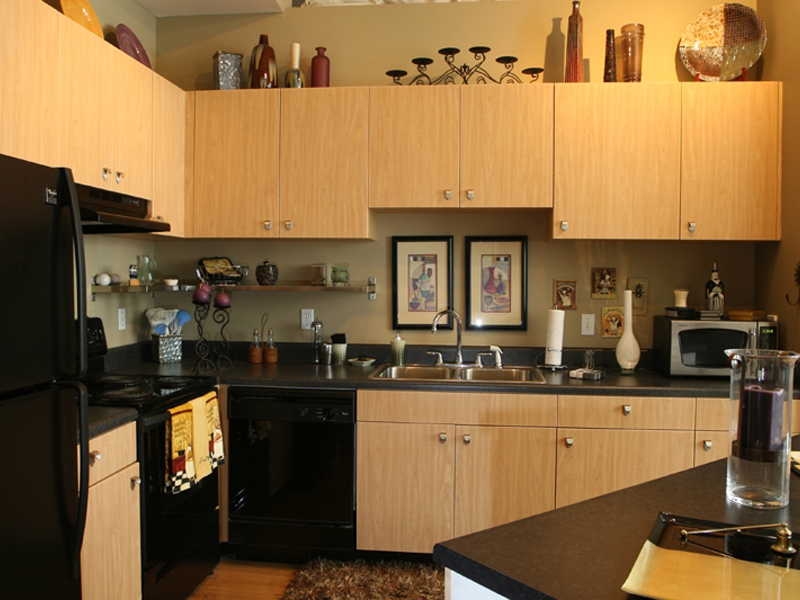 The kitchens all feature an ultra-modern look with their black appliances, stainless steel shelving and black countertops. 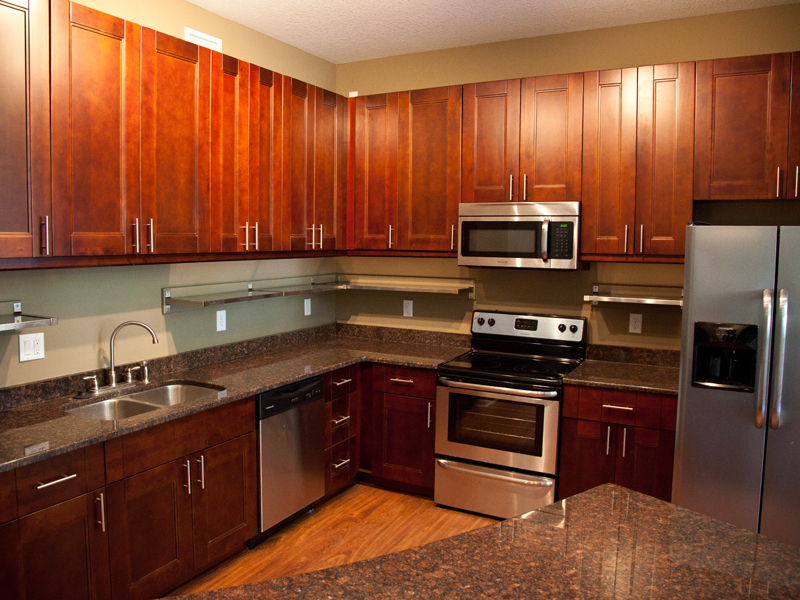 Most of the kitchens have islands and all units include a 30-bottle wine cooler. 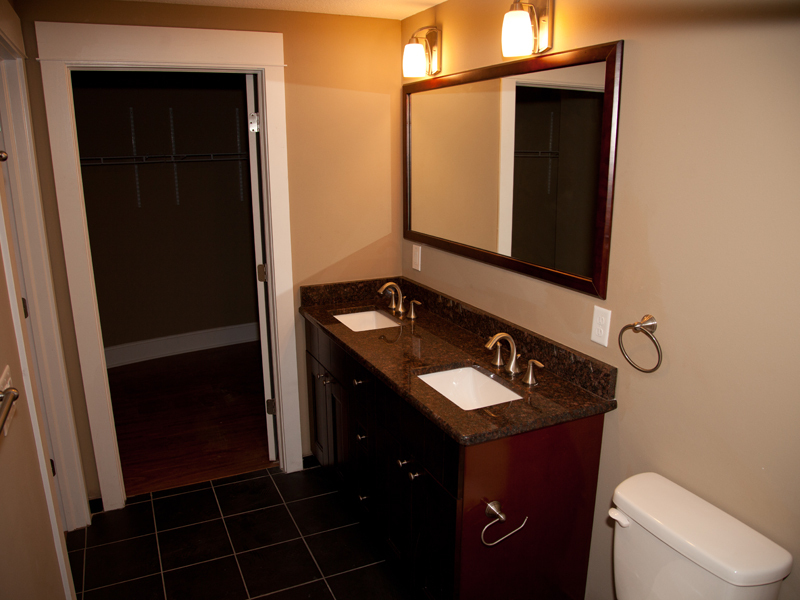 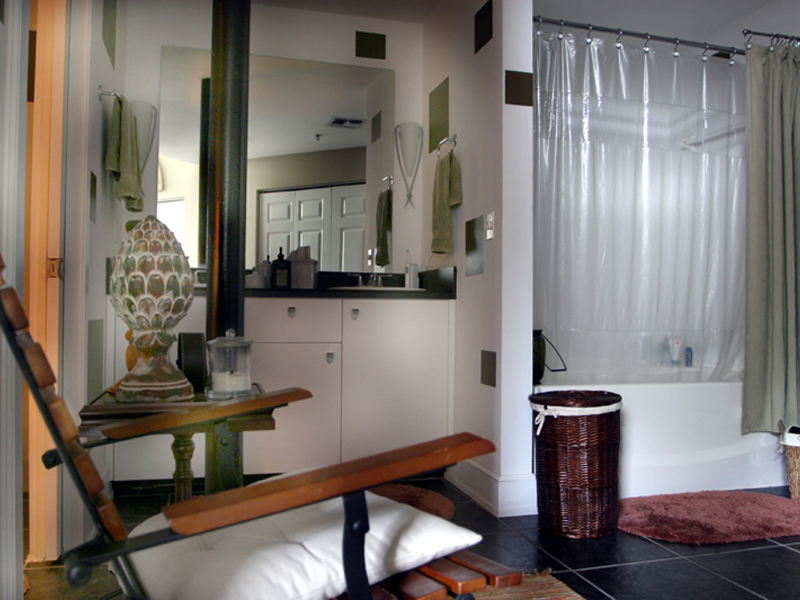 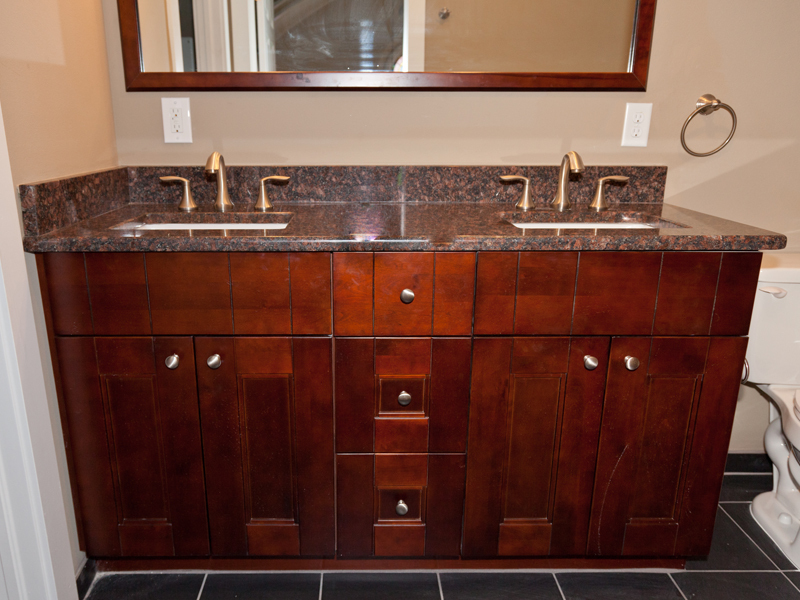 The bathrooms are generously appointed with two basin sinks, a garden tub and 18-inch black tile. 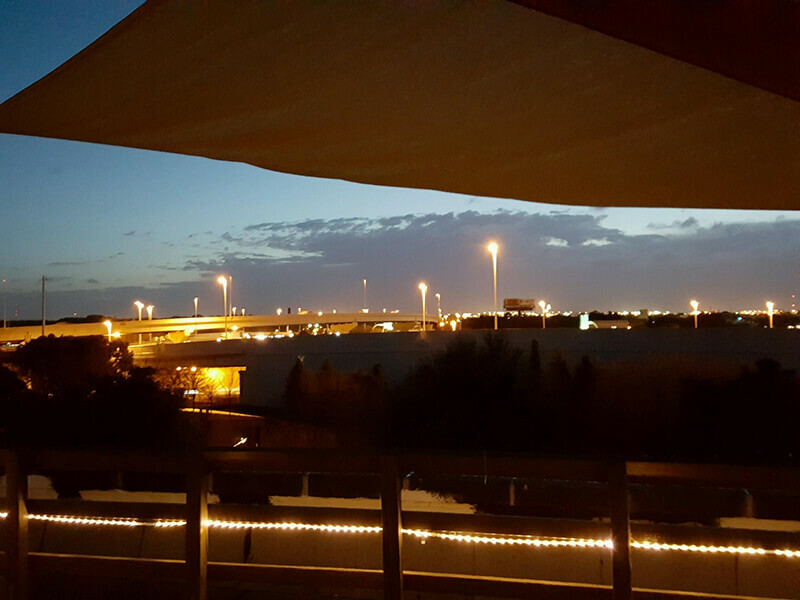 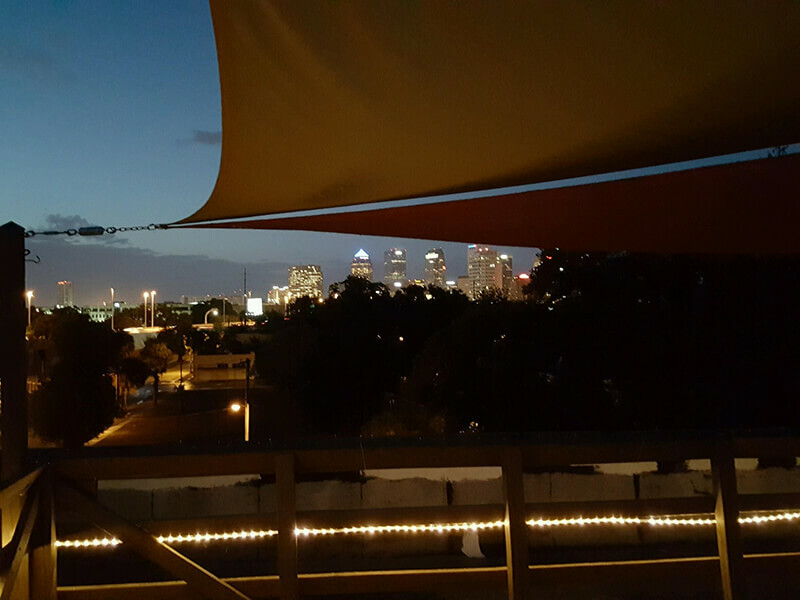 All residents enjoy the roof top terrace with an amazing view of Downtown Tampa. 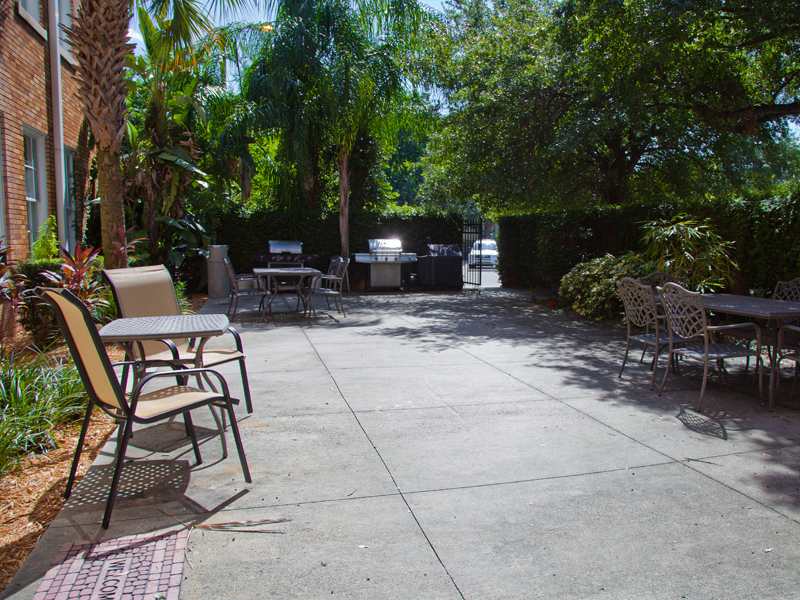 The Community Courtyard has plenty of seating for weekend parties and grills that are always stocked with plenty of propane.